The Heathfield Corn Lamps provide a uniform light distribution and have been specifically designed to replace traditional Sodium and Metal Halide lamps. In operation they have an instant start with no flicking or humming. 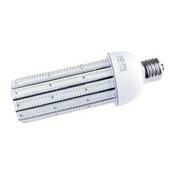 This daylight lamp contains original Epistar chips and its unique design incorporates a highly effective heat management system together with maintenance free operation. It gives up to 70 per cent energy savings and a covered by a three year warranty.